THE Evening Telegraph is seeking a talented senior journalist to join its buzzing newsroom in Dundee. Reporting directly to the editor, and part of a management team, you will be responsible for the day-to-day running of our web operation and ensuring its continued growth. The role involves all aspects of web publishing, including creating and overseeing rich content, maximising its audience via social media and ensuring it complies with legal and regulatory requirements. The successful candidate will also act as a line manager, be adept at identifying potential opportunities for revenue and make a contribution across the Evening Telegraph brand. This is an exciting and demanding role in a city which is very much on the up. 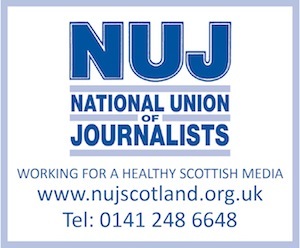 You will also be part of a newspaper brand which is enjoying strong performance across print and digital and was acknowledged for innovation at this year’s Scottish Press Awards. You’ll be joining a leading publishing company that has its own annual editorial awards, a range of staff rewards and benefits and a cracking Christmas party! Closing date for applications is Friday 14th October.